Emeralds, scattered in the warm waters of the Mid-Philippines, is one way to describe the attractive group of the Visayan Islands. An area ideal for snorklers and divers who want to discover a fantastic and intact underwater world. But the charm of the Visayas is not only restricted to this type of leisure activity, it is also the way how past and present perfectly blend. 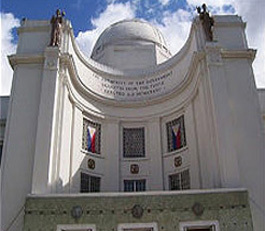 Cebu and Mactan are rich in historical significance. From around 800 AD Cebu harbor was already an important trading port for Chinese, Islamic, and Malayan goods. 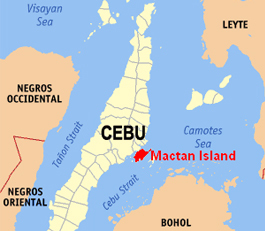 In 1521, Ferdinand Magellan discovered the Philippines and eventually found his way to Mactan. Due to a dispute of uncertain nature, the Spaniards incurred the ire of local chieftain Lapu-lapu, who killed Magellan in The Battle of Mactan. Thus, although the Magellan Expedition is credited with the first circumnavigation of the globe, Magellan himself died and remained in Mactan. During the early part of the Spanish era, Cebu was the effective capital of the country, which in turn was a province of Mexico(the capital was later moved to Manila, which was more easily defensible against sea attack).It continued to prosper as a trading port. And to this day, Cebu is the most ethnically diverse area in the country, with large Chinese, Spanish, and Malayan populations. Cebu is today regarded as the most dynamic metro area in the country, with growth rates generally twice as high as the national average. It is home to a surprising range of industries, including semiconductors, shipping, education, watch making, food-processing, high-end furniture, and of course tourism. 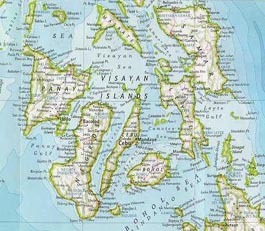 Cebu is located in the heart of the Philippines, totally surrounded by much larger islands. This means that most typhoons never reach Cebu, and the rare storms that do are already much-weakened. The danger from tsunamis is effectively zero; there is no known seismic fault in this area and any long-range tsunami would be blocked by other islands. The Pacific monsoon drops most of its moisture on other islands prior to reaching Cebu. Thus, there is no pronounced rainy season and the weather here is clement year-round. Although it can rain at any time of year, most rains are brief and quickly followed by brilliant sunshine. No risk of Malaria in urban areas and the island of Cebu.